Travis Allen is the president and CEO of iSchool Initiative. He is speaking on July 25, 2014, about the evolution of technology in the classroom at the Blue Ribbon Schools of Excellence 2014 Educator Leadership Institute held at Walt Disney World® Resort, FL, as part of the Disney Youth Education Series. LIFE Leadership has been the fuel to our vehicle, and it’s what kept us going, motivated and inspired to change the world. Recently, Readers Legacy PR spoke with Travis Allen, the young CEO of iSchool Initiative, about the success his company has experienced, the inspiration from LIFE Leadership that made him who he is today, and his upcoming speech at a Walt Disney World® educators conference. Allen was a high school student five years ago; today, he is the president and CEO of his own company. His meteoric rise to success, however, is not an accident. He attributes his vision for creating his company in part to the inspiration he received from the informational and motivational materials offered by LIFE Leadership. Allen frequently used technology to take notes, read books, and perform other tasks when he was in high school. However, his school had a zero-tolerance policy for cell phone use, and he was reprimanded for the usage. Troubled by this problem, Allen soon created a YouTube video about one-to-one mobile learning and how it could transform the educational industry. The video soon went viral, and the educational world began to pay attention to Travis’s message that technology and education can, in fact, be combined effectively to engender authentic student engagement and increased learning. Through this experience, the idea for iSchool Initiative was born. The foundation for this successful company was built over the next few years, ignited and fueled by LIFE Leadership’s products, speeches, and events. Following LIFE Leadership’s example, Travis started iSchool with a team that gave motivational speeches to build awareness of how technology could be successfully paired with education. These teachings became widespread and sought-after, and the Digital Learning Revolution (DLR) mobile classroom on wheels was born. Today, Allen's company also offers professional development, consulting, and a mobile toolkit. Nearly 90 percent of the work is with teachers in grades K through 12. To date, the company has recruited several large clients, including a $1.4 million account, from schools that wish to purchase large numbers of iPads for their classrooms. One of the products that Allen says benefited him greatly is the ‘Mental Fitness Challenge (MFC)’ created by LIFE Leadership cofounders Orrin Woodward and Chris Brady to help participants grow and improve in thirteen key areas of life set forth in Woodward’s acclaimed book ‘RESOLVED: 13 Resolutions for LIFE.’ Through this all-encompassing three-month subscription, clients receive access to an interactive website, a self-assessment test, ninety days worth of worksheets, audios, videos, and books written by Woodward and Brady, and so much more. Among the bestselling books included is a copy of Brady’s and Woodward’s ‘Launching a Leadership Revolution,’ which is one of Travis’s favorites. He equates the foundational principles put in place for iSchool with the teaching found in this informative guide to increasing leadership effectiveness. Now, Travis is taking his teachings from LIFE Leadership and his continually growing business prowess and sharing his wisdom at a Blue Ribbon Schools of Excellence educator conference held at Walt Disney World Resort, FL, July 23 – 25, 2014, as part of the Disney Youth Education Series. 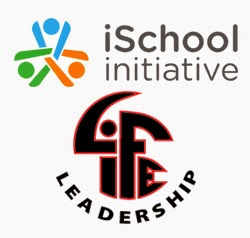 Thanks to LIFE Leadership, Travis Allen and iSchool continue to help teachers understand the technological culture and buy in to the idea that education can effectively incorporate the latest devices. He and his company aim to revolutionize the American education system and promote a culture of lifelong learning. At only seventeen years old, Travis Allen had a dream that schools would change their approach to integrating technology in the classroom. Today, iSchool helps teachers, administrators, and students understand how technological advances can be incorporated into everyday teaching and revolutionize learning. His employees are all subscribed to Rascal Radio, a personal and professional development product of LIFE Leadership, and he continually puts the ideas he learns from LIFE Leadership to work in his company. LIFE Leadership develops and inspires current and future leaders. With the belief that applying the right information consistently over time can produce lasting change and increased influence, the company provides life-changing informational materials to business professionals, administrators, community service leaders, pastors, teachers, parents, and more to help them increase their leadership effectiveness, passionately pursue their purpose, and live the lives they've always wanted.